Last Chaya Shiva plate with Clip Axles! Want to be able to change your wheel without any tools? You need this! Want to be able to change your wheel without any tools? You need this! The Chaya Shiva DCM 1.0 Plate is constructed from high-grade aluminum and precision machined into a performance powerhouse. Dual Center Mounting allows anyone to easily mount to Chaya Boots with two bolts through the center of the plate. Standard mounting slots still exist for mounting to other brands. 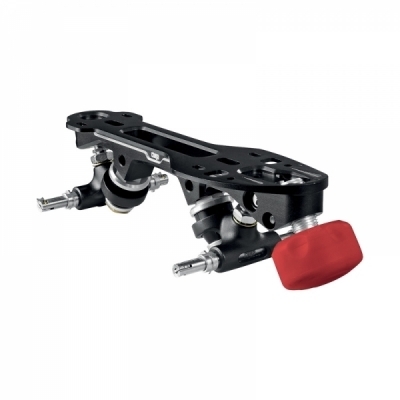 Forged aluminum trucks are available in 20° and feature Quick Release Axles that enables skaters to change wheels in just seconds!